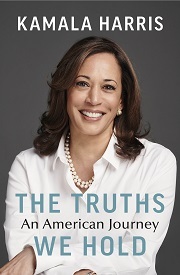 The Bodley Head will publish The Truths We Hold: An American Journey by Kamala Harris, a senator representing California, in January, alongside Penguin Press in the US. UK & Commonwealth rights were bought from Caspian Dennis at Abner Stein on behalf of CAA. The book "tells the story of Senator Harris' background and upbringing, her career, her worldview and her resistance to the politics of Trump's America. The daughter of an economist from Jamaica and a cancer researcher from India – Kamala Harris was raised by her mother in, Oakland, California, a hotbed of progressive activism. She grew up with a passion for justice and ultimately chose to become a prosecutor. As California's Attorney General, she took on transnational gangs, big banks, predatory lenders and for-profit colleges. She also fought to reduce elementary school truancy, helped expose racial disparities in the criminal justice system, and implemented implicit bias training for police officers." Former US president Barack Obama said of Harris: "She is brilliant and she is dedicated and she is tough, and she is exactly what you'd want in anybody who is administering the law, and making sure that everybody is getting a fair shake." Since entering government, Harris has "grappled with many of the issues that define life in America today, from healthcare and the new economy to immigration, national security, the opioid crisis, and accelerating inequality." 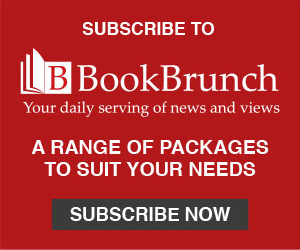 Stuart Williams, publishing director of The Bodley Head, said: "Kamala Harris has worked passionately throughout her life to improve the lot of millions of her fellow citizens. This makes for exciting reading. The Truths We Hold is an inspiring book from a major figure in the Democratic Party of today and tomorrow." Soon the Democrats will begin to choose their candidate to run against Trump in 2020.